Flora Dennis, Partnership Tutor West Dean College, won the 2015/16 Partnership Tutor Fund. 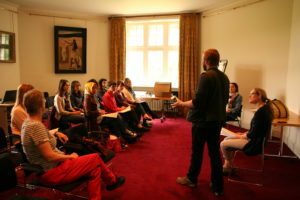 Flora was awarded the fund to organise an exchange day at West Dean College for MA Conservation Students at West Dean and MA Art History and MA Museum Curating Students at the University. 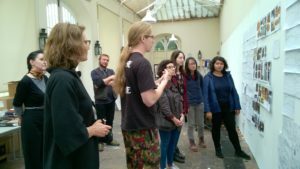 Flora said ‘as a result of the Partnership Tutor fund we were able to organise an exchange day at West Dean College for MA Conservation Students at West Dean and MA Art History and MA Museum Curating students at the University of Sussex. 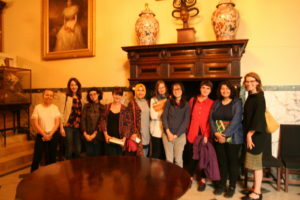 The day was based on West Dean’s collections and prepared students to move beyond postgraduate study into a range of professional workplaces such as museums, galleries, historic buildings and the cultural and heritage sector’. The Partnership Tutor fund was launched in 2015. The fund is awarded for activities relating to student engagement. For example, bringing students at partner institutions to the University to attend lectures, seminars, and workshops. The Partnership Tutor Fund was re-launched for 2016/17 and tutors can apply for the fund.